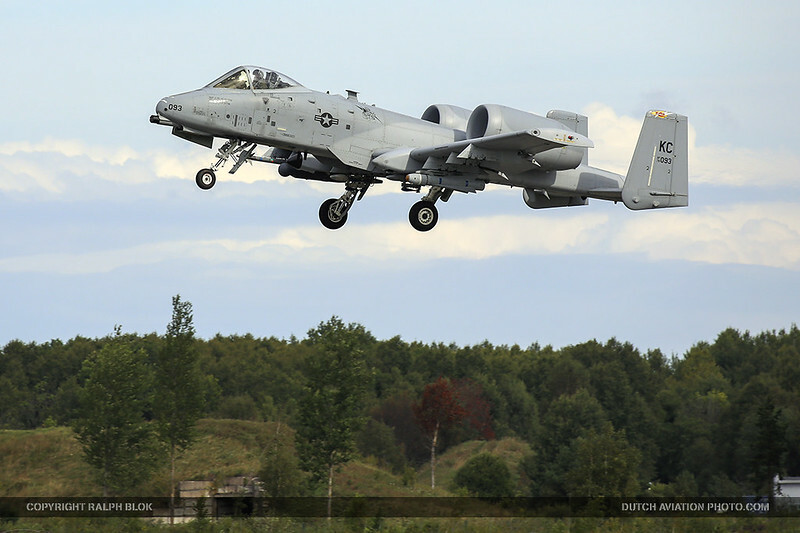 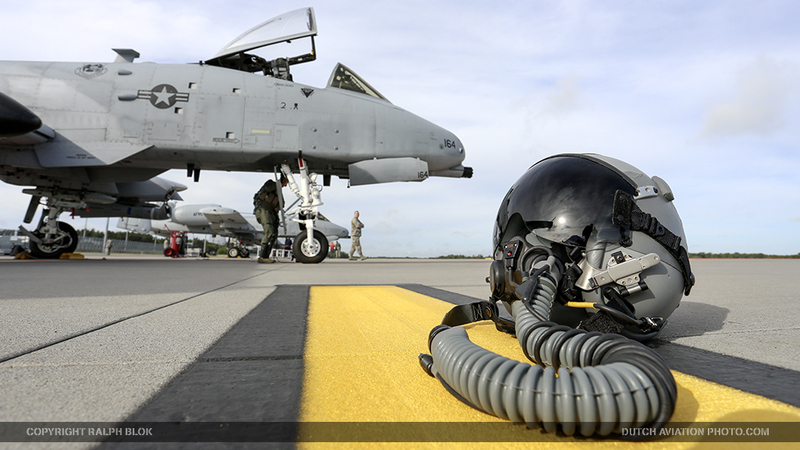 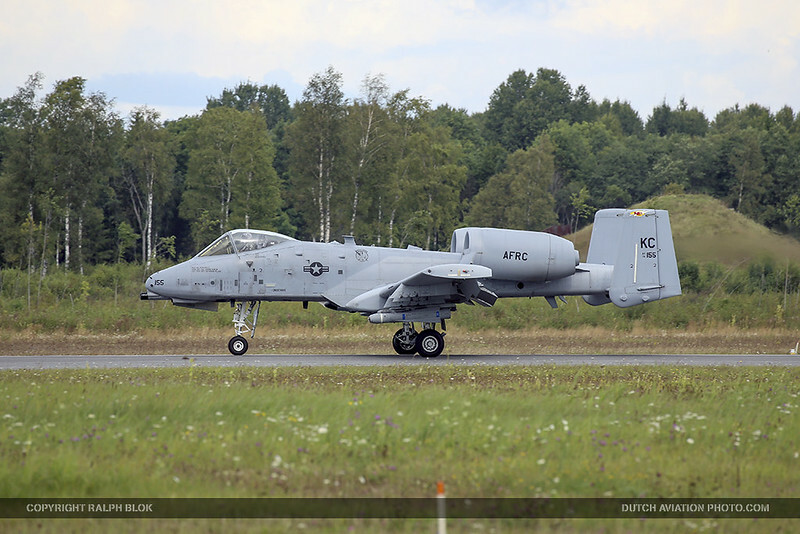 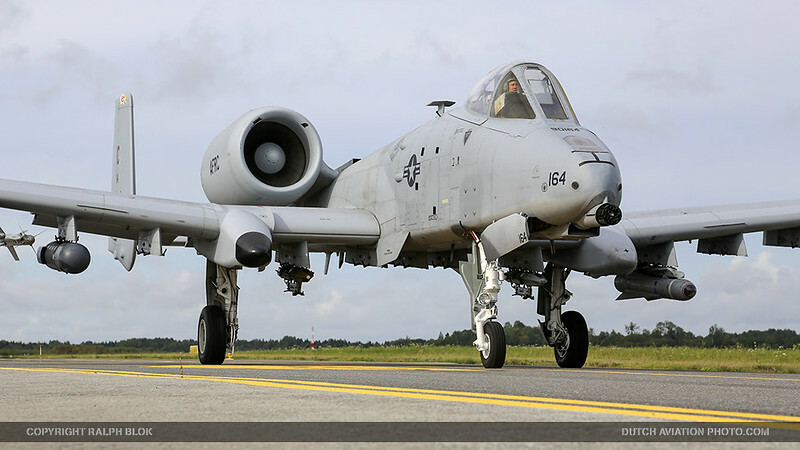 At August the 22nd, eight A-10 Thunderbolt IIs and approximately 170 reservists from Whiteman Air Force Base, Monatana were deployed to Ämari Air Base in Estonia, as part of a flying training deployment in support of Operation Atlantic Resolve. The aircraft belong to the 303rd Fighter Squadron, 442nd Fighter Wing, from Whiteman Air Force Base, Missouri. 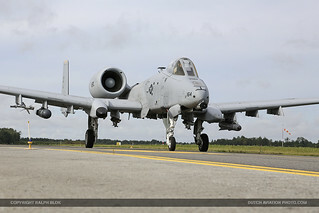 Their task is to show the commitment that NATO has in protecting the eastern borders of NATO territory, and to make sure peace and stability will continue in the region. 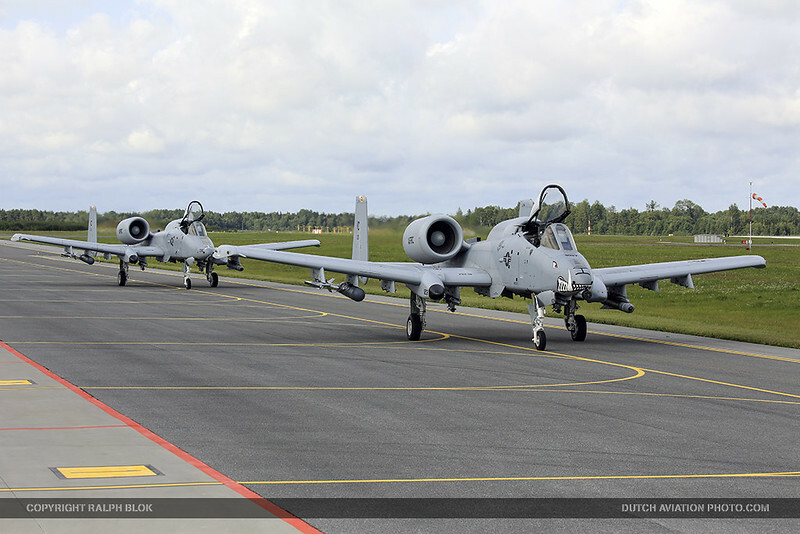 Estonia can’t afford its own combat aircraft and is therefore focused on supporting allied air training. With funding assistance from NATO, Estonia has rebuilt the former Soviet Su-24 base into a fully operational base that meets the NATO standards. Since 2011 it has the infrastructure and aircraft services necessary for Host Nation Support. 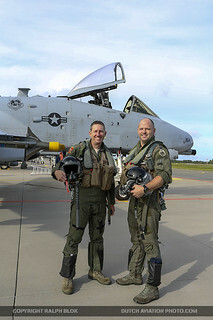 Guardsmen from three Air National Guard units support the mission during which the the A-10s will train for three weeks with NATO partners and also with the Finnish Air Forces who are eager to join NATO as they share a border with Russia as well, and would profit a lot from NATO article 5. 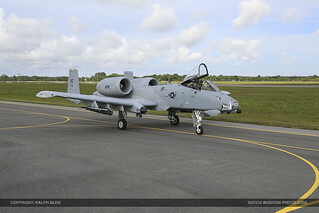 Missions will of course consist of Close Air Support (CAS) and a lot of low-flying activity, a task where the A-10 is built for. 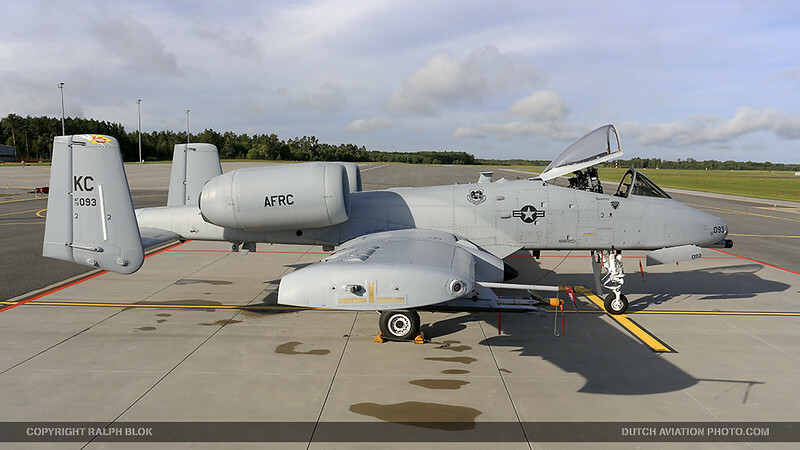 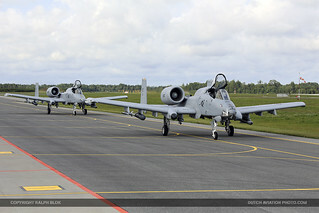 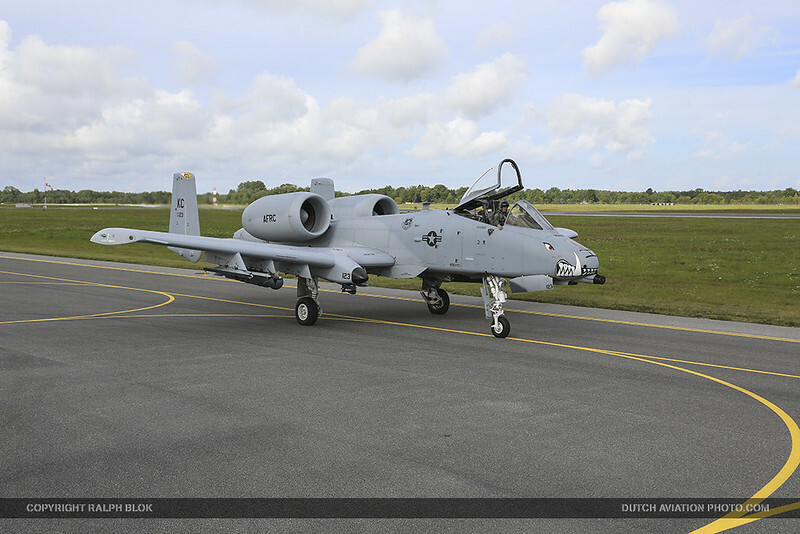 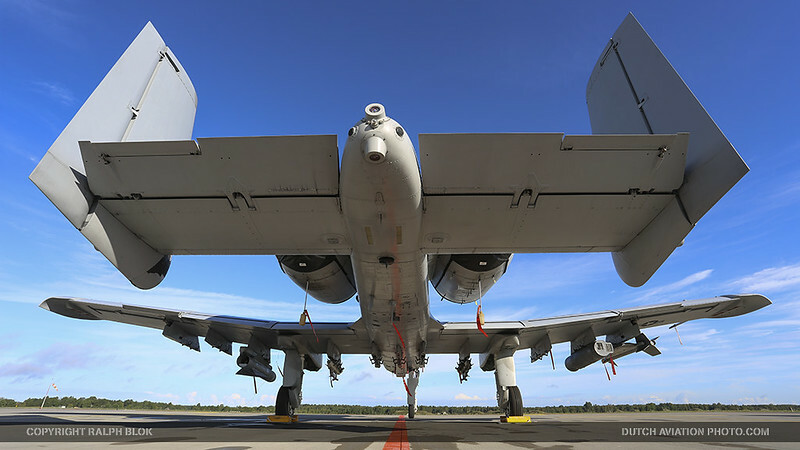 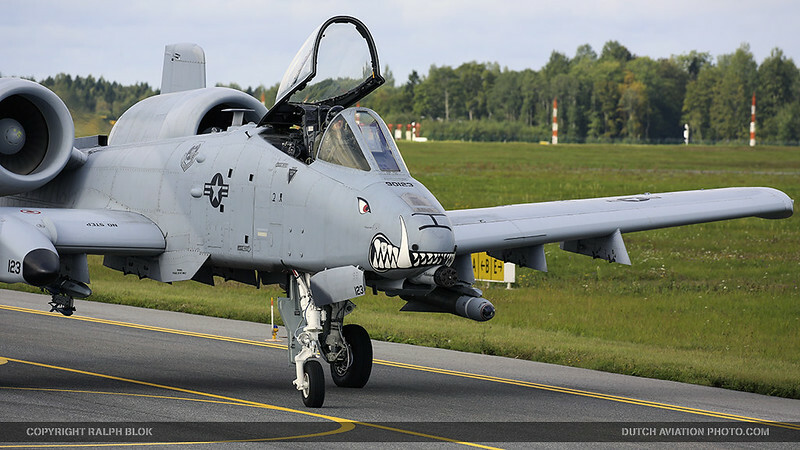 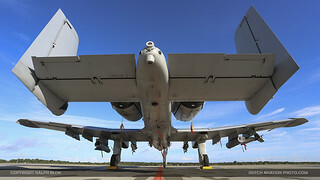 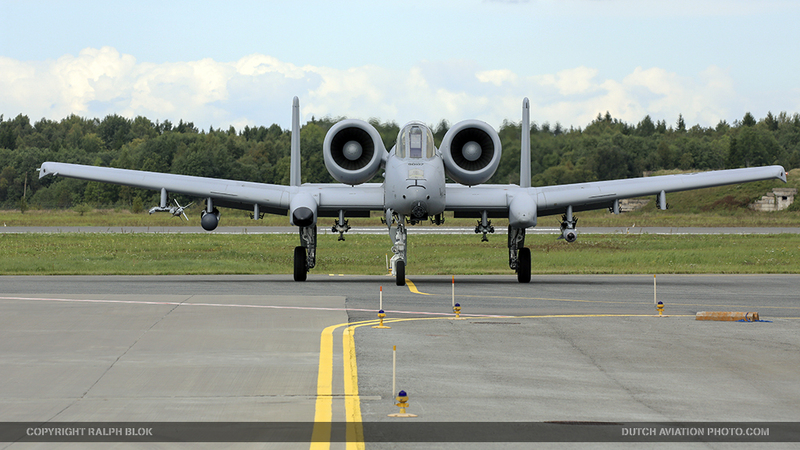 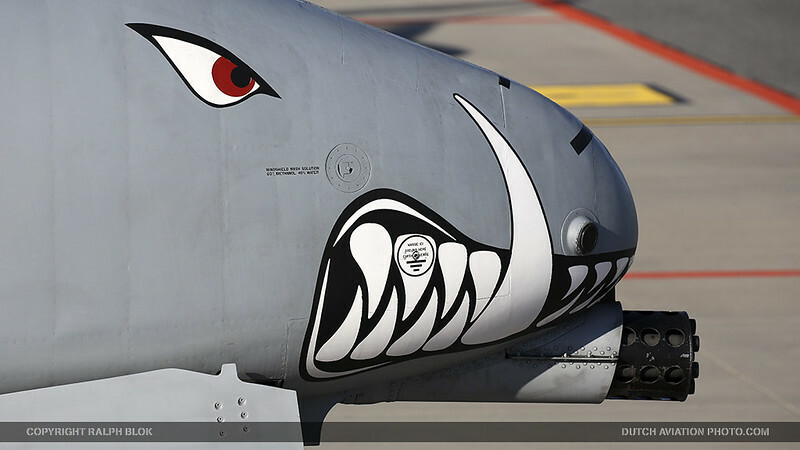 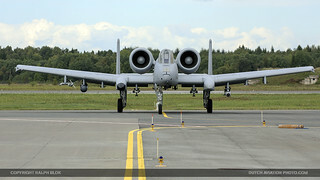 Since the last A-10s based in Europe left their permanent base Spangdahlem in May 2013, they have become frequent visitors across eastern European countries following the war in eastern Ukraine. The aircraft is beloved by the troops, particularly those who have been saved when the A-10 Thunderbolt II, and its huge 30mm cannon, swooped in to save them in combat. Two F-22 Raptors, the most-advanced stealth fighter jets in the U.S. Air Force, arrived Sept. 5 at the Ämari Air Base in Estonia as part of the European Reassurance Initiative. The Raptors made the trip to Estonia one week after arriving at Spangdahlem. 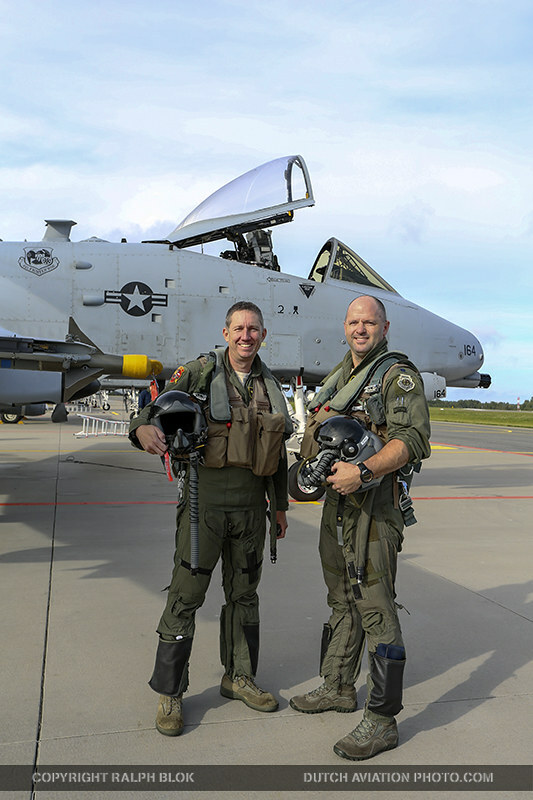 They helped reassure Estonia with a visit to the Air Base. 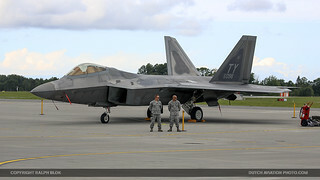 The F-22’s and approximately 20 supporting Airmen are from the 95th Fighter Squadron at Tyndall Air Force Base, Florida. 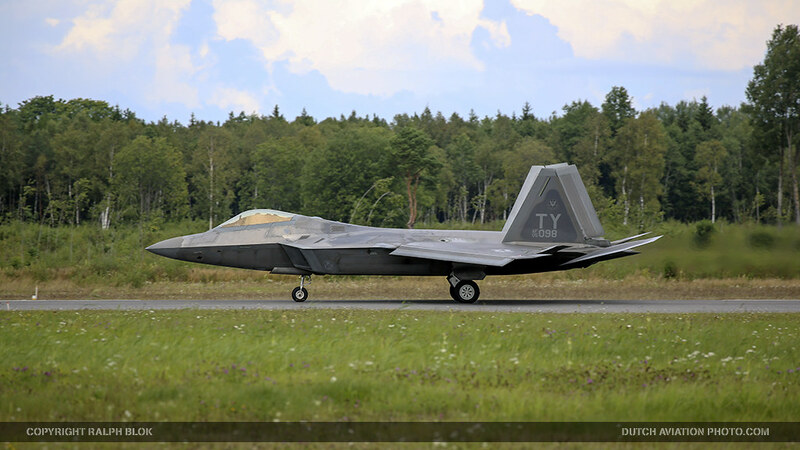 The F-22 deployments to Spangdahlem AB in Germany, Łask AB in Poland, and now Ämari AB in Estonia prove that European bases and other NATO installations can host fifth-generation fighters while also affording the chance for familiarization flight training within the European theater. It was their stop in eastern Europe in five days, the first being on Łask. 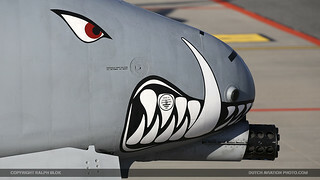 The Raptors came along with a KC-135 Stratotanker refueling tanker from the 100th Air Refueling Wing at Royal Air Force Mildenhall, England. 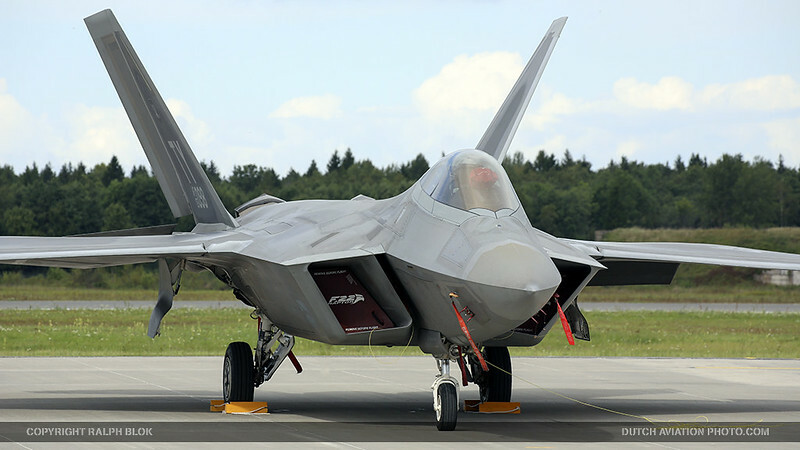 “This forward deployment of the Raptors is part of the inaugural F-22 training deployment to Europe while demonstrating the U.S. commitment to regional and global security” according to a statement the US Air Force made. 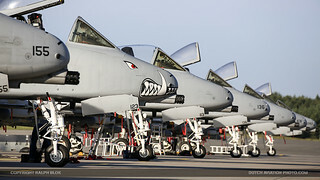 Estonian Defense Minister Sven Mikser said “It is very symbolic that the region where we have probably the most sophisticated integrated air defense system environment in the world, we have no aircraft here that make those systems relevant.” He also shared the following story about the expression ‘the sound of freedom’ and to show the Estonian peoples attitudes towards NATO allies: “Last summer when flying activity picked up, local people naturally started talking to each other as it’s getting a little bit too noisy. 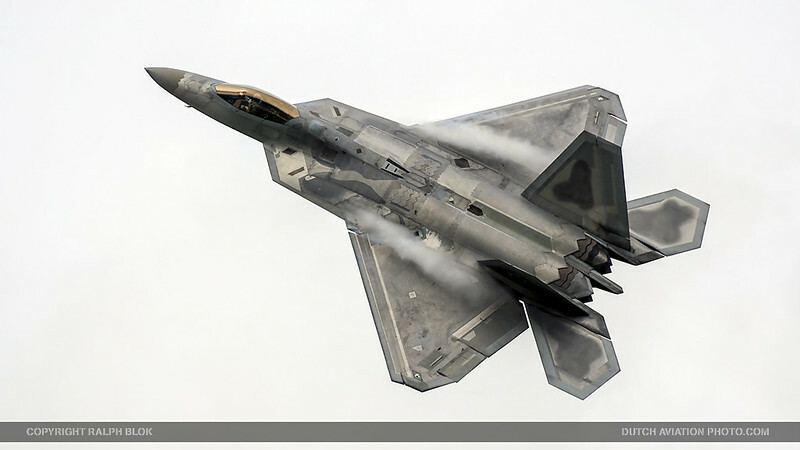 It lasted until an 84 year old lady wrote a letter to local paper and said: “Let me tell you what noise is. 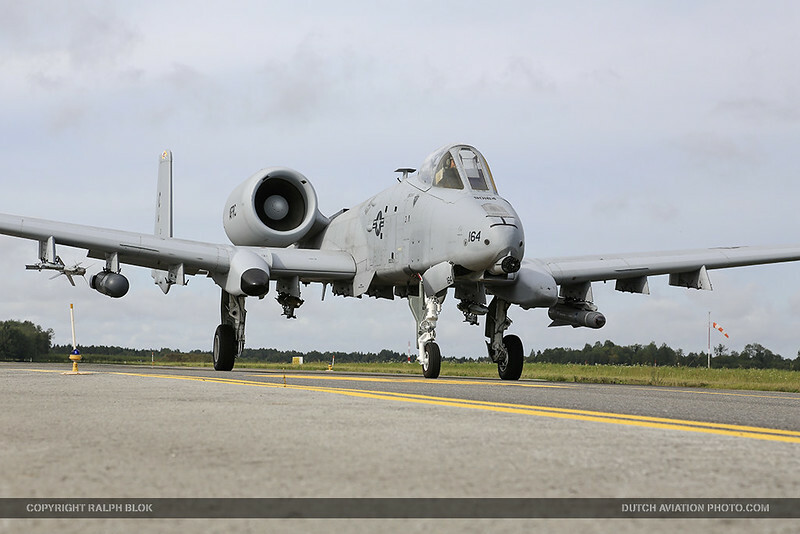 I was 11 years old child working on a farm land here when during World War 2 where Soviet aircraft came and started strafing us down.” she wrote, “The sound of aircraft gun firing at me is the noise that I will remember forever. And if the flight activity from Amari Air Base can keep that noise away, let them have it.” Since then the air base hasn’t had any noise complaints. In addition to being an example of a show of force against Russia, which has taken a more aggressive posture in the region since last year’s annexation of Crimea from the Ukraine, the deployment of the F-22s was noteworthy in part because the aircraft flew alongside the aging A-10, which the Air Force is trying to retire. On September the 11th, 14 years after the attack of the twin towers, the F-22’s returned to continental United States. 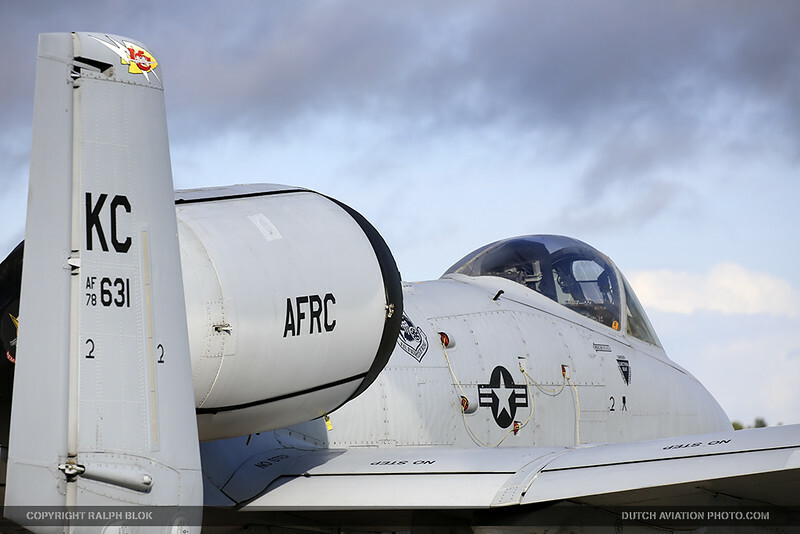 After encountereing refueling problems, and diverting back to Spangdahlem, the next try was successful, and their European deployment ended. 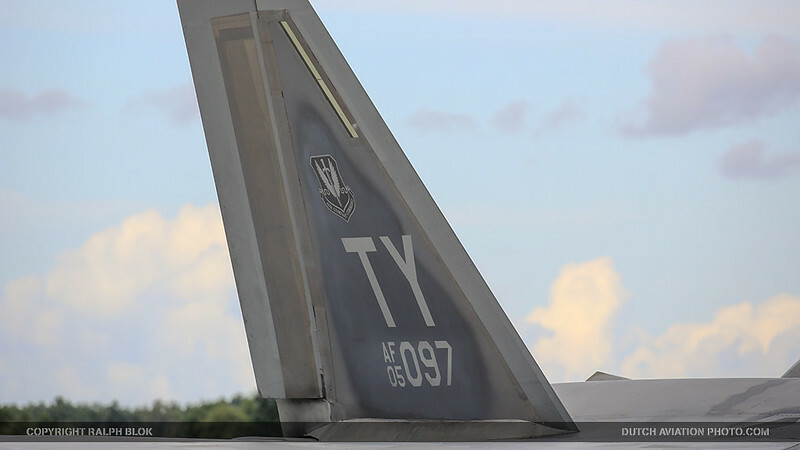 Tensions are high in the region following Russia’s military incursion in Ukraine. 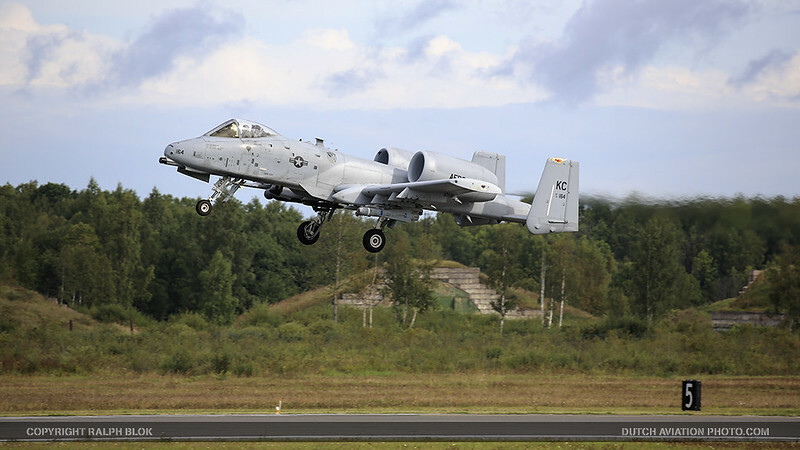 For Estonia, a country of about 1.3 million people on NATO’s eastern border, memories of Soviet occupation still run deep 24 years after the country regained its independence.